The government faces growing pressure to install a new emergency warning system and improve weather forecasting after survivors complained that little was done to prevent scores of people being killed in floods in the south of the country. Survivors said no flood warning had been issued before a huge wave rushed through Krymsk, the worst-hit town in the Krasnodar region, near the Black Sea, early on July 7. The death toll in the region is 171, and many homes were destroyed. "In fact, we should start from scratch a new system of collecting information and data that is not based on outdated methods and systems," Igor Chistyakov, a hydraulics professor, told reporters. "We must make sure the local authorities have all the data and can really act on the basis of them." The government has accused district officials of making mistakes in their handling of the region's worst flooding in decades, including failing to warn people properly. The accusations have helped prevent blame from being aimed at President Vladimir Putin, who toured the flood zone hours after the disaster struck and again on Sunday. Chistyakov called for more investment in modern weather tracking, establishment of a road monitoring system and a review of the country's safety procedures, among other steps. "No matter how many local leaders we dismiss, the warning system and then the rescue operation mechanisms remain the same. We need a systemic approach at a countrywide level," he said, adding that the revamp would still cost less than the several billion rubles earmarked to support the region now. In Krymsk, a town of 57,000, many people were caught unawares by water pouring into their homes in the middle of the night. Witnesses said the elderly had little chance of surviving. "The systemic problem we have is that meteorology alerts are being ignored," said Alexei Kokorin of the conservation organization WWF. "And that is happening at a time when we are clearly observing a rise in dangerous weather phenomena, [and] their frequency and intensity, in Russia and around the world,"
Emergency Situations Minister Vladimir Puchkov, meanwhile, said Krymsk has plenty of humanitarian aid and does not need more donations. "At the moment, we have eight main storerooms, which are all overfilled," Puchkov said during a conference call with journalists, Interfax reported. "I express words of gratitude for the humanitarian aid, but I would ask [people] to refrain from sending more to Krymsk," he said, adding that several convoys of aid were still on their way to the town. 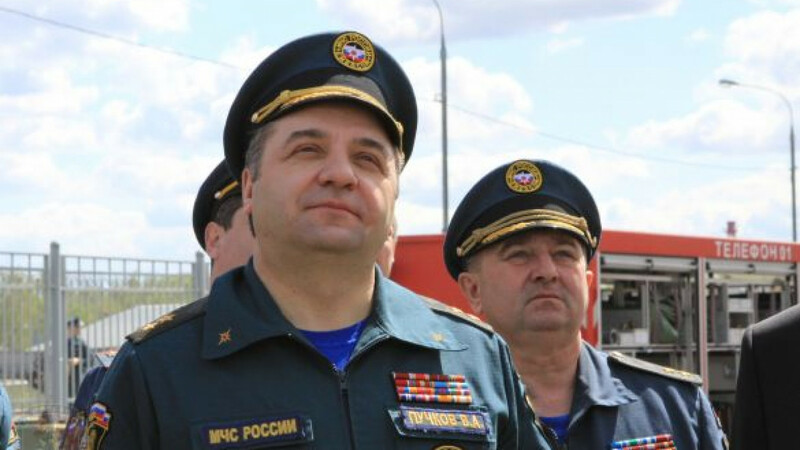 During the call, Puchkov also asked Federal Migration Service officials to increase their presence in the surrounding area, since 30 percent of the flood victims in Krymsk district weren't registered locally. A spokesman for the migration service told Interfax that nine mobile groups were already working in the area and that new passports for those who lost their documents in the flooding were being prepared free of charge. Puchkov also said nearly 35,000 people had suffered losses from the floods, nearly 30,000 of whom lost all their basic goods, while a further 5,500 saw a part of their belongings swept away. Some 3,000 people were injured, and more than 800 cars were damaged, Puchkov said, adding that the state budget compensations would range from 100,000 to 1 million rubles for each person who suffered.